All our products are engineered and manufactured in the UK, designed with 24/7 stability and reliability in mind. We are completely confident in our products, and to back this up we offer a 5-year warranty. 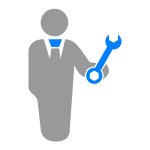 Our hardware is fully CE and ETL compliant, and once programmed is self-sufficient, so no PC needs to be left on site. Pharos hardware is built from the ground up for durable, permanent installation. 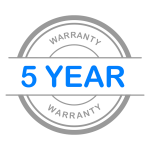 We are completely confident in the quality and reliability of our products, and to support this we offer a 5-year warranty on all Pharos products. Our controllers are compact and easy to install on a DIN rail or in a 19″ rack, with installer-friendly connectors. 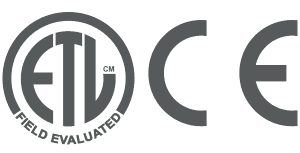 Pharos products are compliant with relevant international standards, including CE, and carry ETL/cETL listings. Pharos products are designed and manufactured in the UK allowing for complete control over the quality of each item. Our team has decades of experience in building advanced control solutions. Safe in the knowledge that all Pharos products are designed for reliability, you can specify interactive lighting, automation, audio and visual spectacles, kinetic art and water displays in any situation. Designed specifically for totally automated installations, Pharos hardware is solid state and runs 24/7, regardless of movement, orientation, and vibration. Once programmed, our hardware is totally self-sufficient, meaning no PC needs to be left on site.